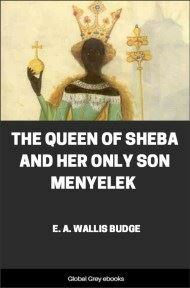 The Kebra Negast (The Glory of The Kings), of which this book is a translation, is an Ethiopian work which is held in high regard because it is 'proof' of the lineage of the Ethiopian people which can be traced back to the bloodline of Solomon. The book itself has legends and traditions, some of which are historical, some of which are folk tales. 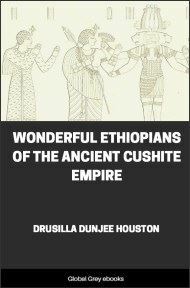 THIS volume contains a complete English translation of the famous Ethiopian work, The "Kebra Nagast," i.e. the "Glory of the Kings [of Ethiopia]." This work has been held in peculiar honour in Abyssinia for several centuries, and throughout that country it has been, and still is, venerated by the people as containing the final proof of their descent from the Hebrew Patriarchs, and of the kinship of their kings of the Solomonic line with Christ, the Son of God. The importance of the book, both for the kings and the people of Abyssinia, is clearly shown by the letter that King John of Ethiopia wrote to the late Lord Granville in August, 1872. The king says: "There is a book called 'Kivera Negust' which contains the Law of the whole of Ethiopia, and the names of the Shûms [i.e. Chiefs], and Churches, and Provinces are in this book. I pray you find out who has got this book, and send it to me, for in my country my people will not obey my orders without it." The first summary of the contents of the Kebra Nagast was published by Bruce as far back as 1813, but little interest was roused by his somewhat bald précis. And, in spite of the labours of Prætorius, Bezold, and Hugues le Roux, the contents of the work are still practically unknown to the general reader in England. 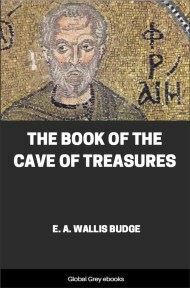 It is hoped that the translation given in the following pages will be of use to those who have not the time or opportunity for perusing the Ethiopic original. The Kebra Nagast is a great storehouse of legends and traditions, some historical and some of a purely folk-lore character, derived from the Old Testament and the later Rabbinic writings, and from Egyptian (both pagan and Christian), Arabian, and Ethiopian sources. 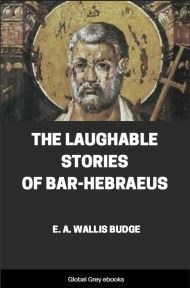 Of the early history of the compilation and its maker, and of its subsequent editors we know nothing, but the principal groundwork of its earliest form was the traditions that were current in Syria, Palestine, Arabia, and Egypt during the first four centuries of the Christian era. Weighing carefully all that has been written by Dillmann, Trump, Zotenberg, Wright, and Bezold, and taking into account the probabilities of the matter, it seems to me that we shall not be far wrong if we assign the composition of the earliest form of the Kebra Nagast to the sixth century A.D. Its compiler was probably a Coptic priest, for the books he used were writings that were accepted by the Coptic Church. Whether he lived in Egypt, or in Aksûm, or in some other part of Ethiopia matters little, but the colophons of the extant Ethiopic MSS. of the Kebra Nagast suggest that he wrote in Coptic. In the succeeding centuries, probably as a result of the widespread conquests of Muḥammad and his Khalîfahs, the Coptic text was in whole or part translated into Arabic, and during the process of translation many additions were made to it, chiefly from Arabic sources. Last of all this Arabic version was translated into Ethiopic, and proper names underwent curious transformations in the process. According to the colophons of the MSS. in the British Museum, Oxford, and Paris, the Arabic translation was made from the Coptic in the 409th "year of mercy," when Gabra Masḳal, commonly known as Lâlîbalâ, was reigning over Ethiopia, i.e. between A.D. 1314 and 1344. And the same authorities say that the Ethiopic translation was made subsequently by one Isaac, of whom nothing is known save that he was an enthusiastic Christian visionary and patriot. His knowledge of history and chronology was defective, and his comparative philology is unusually peculiar, even for the period in which he lived. In the colophons Isaac says: "I have toiled much for the glory of the kingdom of Ethiopia, and for the going forth (manifestation?) of the heavenly Zion, and for the glory of the King of Ethiopia." These word, throw some light upon Isaac's motive in translating the book, and supply the reason for his devoted labour. He firmly believed: 1. That the lawful kings of Ethiopia were descended from Solomon, King of Israel. 2. That the Tabernacle of the Law of God, i.e. the Ark of the Covenant, had been brought from Jerusalem to Aksûm by Menyelek, Solomon's firstborn son, according to the Ethiopians. 3. That the God of Israel had transferred His place of abode on earth from Jerusalem to Aksûm (Aksum), the ecclesiastical and political capital of Ethiopia. The means employed by Menyelek for obtaining possession of the Ark of the Covenant did not disturb Isaac's conscience in the least, nay he gloried in them, for manifestly Menyelek was performing the Will of God in removing the tabernacle of Zion from Jerusalem. God, according to Isaac, was satisfied that the Jews were unworthy to be custodians of the Ark wherein His Presence was, and the Ark wished to depart. Ethiopia had stretched out her hands to God (Psalm lxviii, 31), and He went to her, with the Ark, to preside over Menyelek's kingdom, which was established in accordance with the commands that He had given to Moses and the prophets and priests of Israel. It will be remembered that the line of kings founded by Solomon continued to reign even after the Ethiopians became Christians under the teaching of Frumentius and Adesius, the slaves of the merchant Meropius, and that the line continued unbroken until the tenth century of our era. 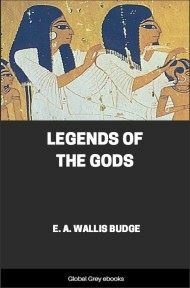 Isaac knew that God then permitted the line to be broken, and allowed the Zâguê kings to reign over Ethiopia until the reign of Yĕkûnô ’Amlâk, who restored the Solomonic line in 1270, and he makes no attempt to justify God's action in this matter, or to explain it. We learn, however, from the first section of the colophon, that he wondered why God had neglected to have the Arabic version of the Kebra Nagast translated into the "speech of Abyssinia" at an earlier date, and why ’Abu’l-‘Izz and ’Abu’l-Faraj, who made the Arabic translation from the Coptic, did not make a rendering into Ethiopic also.